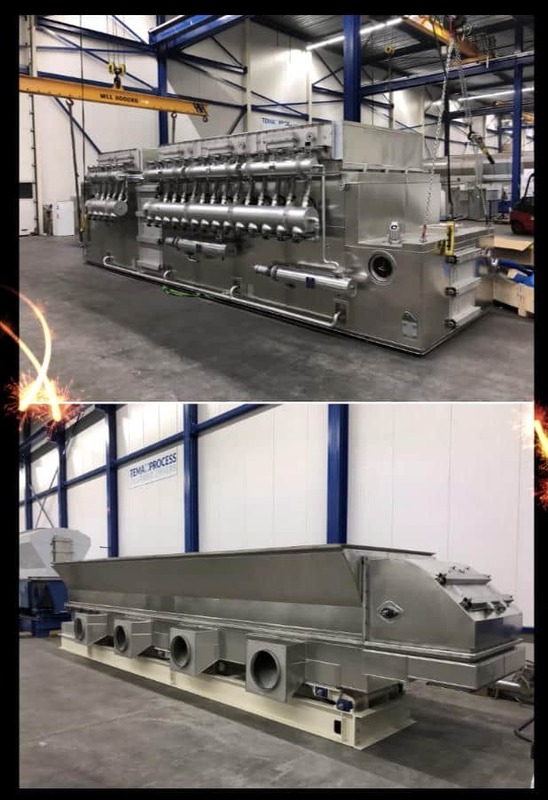 TEMA Fluid Bed Dryer with Integrated exhaust filter ! The latest design development involves all particulate collection and exhaust air cleaning within the drying chamber with the use of filter elements. This eliminates handling of fines outside the drying chamber and simplifies the exhaust air system contributing to lower pressure drop losses and lower overall energy consumption.